Incent India has spoken out in a bid to begin repairing India's battered reputation following worldwide condemnation of its preparations for the Commonwealth Games. Speaking exclusively to C&IT magazine, P.N Nageshwaran, chief executive of the Delhi-based DMC said: "We may have become the laughing stock among the commonwealth nations and our image may have taken a beating, but please do not see this as a reflection on the collective competence of our nation. Whether the Commonwealth Games take place or not still remains to be seen but this will have no impact on the hospitality, meetings or incentive industry. Professionals run the Indian C&I industry. They are committed and know a thing or two about running events." Nageshwaran spoke out after working with UK representation agency Wowbean to deliver a successful familiarisation tour of India for UK agencies including Banks Sadler, supported by Taj and Oberoi hotels. 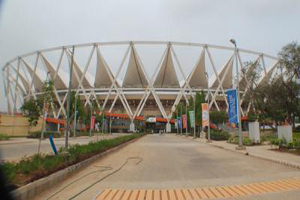 Airing his personal frustrations following global media reports of unfinished, unsanitary and unsafe Commonwealth Games facilities, Nageshwaran said: "The present mess seems to me to be the result of arrogance on the part of the organisers. Their agenda was clear but sadly they did not have the ability to run an event of this magnitude. Someone should have pointed out this fact. Misplaced optimism in blocking accommodation at Delhi’s five-star hotels has prevented potential business travellers from visiting. These rooms have now been released, leaving many hotels high and dry."